Used to host the main server to which a LinkIt One will connect. One of the key things that emergency services workers have to do during an emergency in a building (such as after an earthquake or a fire) is search through each room for those who need help. This process can be time consuming and difficult due to the need for maps of buildings, as well as deciding how best to traverse a building (such as where the largest populations of people may be trapped). In order to help with this, we have created EmergaSearch. EmergaSearch uses PIR motion sensors to detect movements in a room and indicate to emergency services workers that someone may be trapped in that room. This allows workers to focus on getting to rooms with the most movement first, in order to prioritize rooms that they KNOW people are in. LinkIt Ones are loaded with the custom software that reads data from a motion sensor every 700 milliseconds and reports what movement it sees back to the server via an HTTP GET request. This is stored by the server for a local session currently, and then displayed back to emergency service works on its index page. The host service is hosted on a Raspberry PI using Node.js, which hosts a simple map of the building, and also handles data received from the various motion sensors. A user can visit the main web page in order to view what the building looks like, and what rooms are seeing the most movement in them. This is currently just a simple prototype of what could be a larger system in the future. 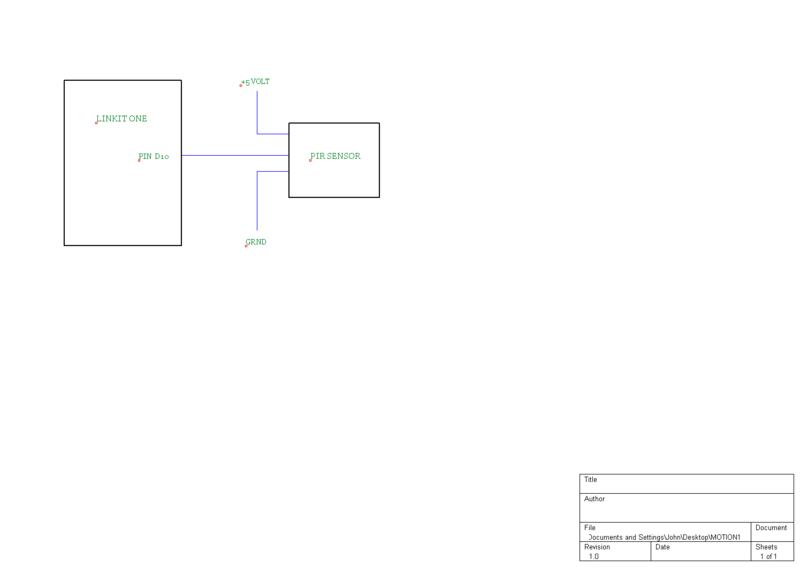 This is the basic diagram for how to attach a PIR Motion Sensor to a LinkIt ONE. This is the main software that is used to run the system. I develop software, act as a systems administrator, and tinker with hardware in my spare time. I am employed as a software engineer at Swisslog currently.